how to explain machine learning algorithms to your grandma ? 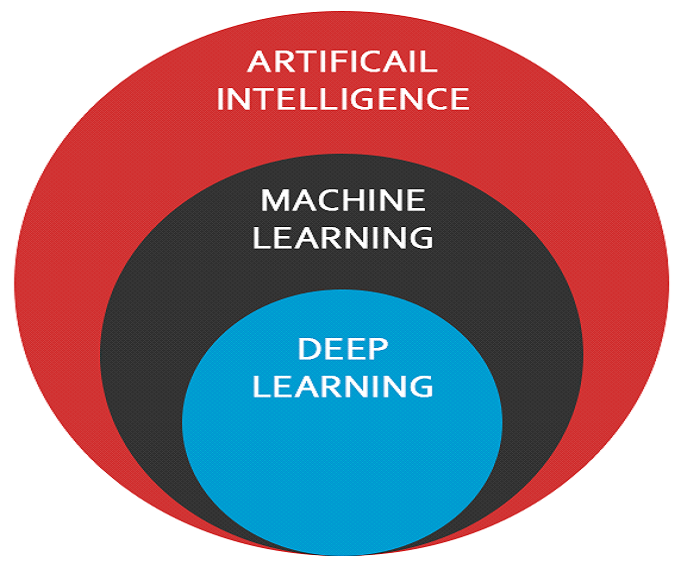 Here is the nice blogpost on explaining Machine Learning algorithm in a simpler way. Flutter is an open-source mobile application development SDK created by Google. Provides low-level support using Google’s Skia graphics library. Interfaces with platform specific SDK for Android and iOS. Provides APIs to communicate with Flutter Engine. There are two design specific widgets one for Android and another one for iOS. Material Design widgets implement Google's design language. Cupertino widgets imitate Apple's iOS design. In this blogpost, will explain on how to set up Blazor development environment for developing simple Hello World !! application. If you want to know, What is Blazor? Blazor is a single-page web app framework built on .NET that runs in the browser with WebAssembly. Browser + Razor = Blazor!! Blazor makes heavy use of Razor (a template engine), a markup syntax for HTML and C#. Microsoft team defined Signal-R as, ASP.NET SignalR is a new library for ASP.NET developers that makes developing real-time web functionality easy. SignalR allows bi-directional communication between server and client. Servers can now push content to connected clients instantly as it becomes available. SignalR supports Web Sockets, and falls back to other compatible techniques for older browsers. Machine learning (ML) is part of Artificial Intelligence (AI), uses the technique that teaches computers how to do tasks by learning data. ML uses difference algorithms to find the pattern, similarity, matches for data classification etc to predict the results. Machine Learning uses different types of learning mechanisms. In Supervised Learning method, train the model with the known input and output data which predicts the future results. In Unsupervised Learning method, train the model using the information that is neither classified and allow the algorithm to act on the information without any guidance. Each learning method has sub-categories as mentioned below. Classification learning method is used for categorising a certain observation into a group. A simple use case would be, to predict if a given email is spam or not? Classifying consumers reasons of visit in store in order to send them a personalized campaign. Regressing learning method is used for predicting and forecasting for continuous values. Clustering is the process of grouping similar entities together. The goal of this unsupervised machine learning technique is to find similarities in the data point and group similar data points together. You can identify different groups/segments of customers and market each group in a different way to maximize the revenue. I recently started learning and writing WebAPI services rather WCF REST services. While consuming WebAPI services, I learned the below differences between WebClient and HttpClient. Pro­vides progress report­ing for downloads. No progress report­ing for downloads. Does not reuse resolved DNS, configured-cookies. Can reuse resolved DNS, cookie con­fig­u­ra­tion, and other authentication. You need to new up a Web­Client to make the con­cur­rent request. Sin­gle Http­Client can make con­cur­rent requests. Sup­ports FTP. No sup­port for FTP. Both syn­chro­nous and Asyn­chro­nous meth­ods are avail­able for IO bound requests. All IO bound meth­ods in HTTP­Client are asynchronous. Differences between Single vs SingleOrDefault and First vs FirstOrDefault and Last vs LastOrDefault? Difference between Single vs SingleOrDefault? Single: Returns the element based on the given condition. If the condition matches for more than one element then it throws Invalid operation exception. SingleOrDefault: Returns the element based on the given condition and returns a default value if no matches found. If the condition matches for more than one element then it throws Invalid operation exception. Difference between First vs FirstOrDefault? First: Returns first element based on the given condition. FirstOrDefault: Returns first element based on the given condition and returns a default value if no matches found. Difference between Last vs LastOrDefault? Last: Returns Last element based on the given condition. LastOrDefault: Returns Last element based on the given condition and returns a default value if no matches found.